At a glance, a ninja's missions may have seemed action packed but lonely but in reality ninjas had to speak with many people and had to be in touch with their human side. Sometimes ninjas had to deceive people, at other times, they had to find ways for people to cooperate with them. In order to be able to do these things, ninjas had to be well informed on human psychology so that ninjas could control others. There were some ninja techniques for this and " Taijin-jutsu (対人術) " was one of them. This was the skill of taking advantage of the five emotions and five desires which all people usually have. In passing, " genjutsu (幻術) " broadly belongs to "Taijinjutsu" in terms of working on the blind spot of human's minds. So how did ninjas actually control people? Let’s find out. 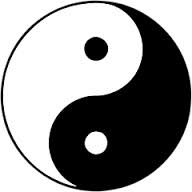 Taoism from China and Buddhism are parts of the roots of ninjutsu (忍術). In Taoism, it is considered that man basically has five emotions. 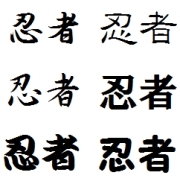 They are " delight (喜) ", " anger (怒) ", " sadness (哀) ", " fun (楽) " and " fear (恐) ". On the other hand according to the understanding of Buddhism, people possess five desires. They are " appetite (食) ", " libido (性) ", " eagerness for fame " (名声), " greed for money (財産) " and " desire to sleep (睡眠) ". Ninjas replaced " desire to sleep " with " eagerness for hobbies (風流) ". Ninjas controlled humans by means of stimulating these ten fundamental urges of men. Below are concrete examples of a ninja’s mind control. ・appetite (食) - To give somebody their favorite dishes as a treat and motivate them in this way. ・eagerness for fame (名声) - Like scouting for entertainers, offering people the possibility of being famous and the rising up in the world and making them cooperate with ninjas. By means of these techniques, ninjas searched for the weak points of hostile countries or made military commanders of their enemy's betray their lords. When controlling people, ninjas had to understand their true character. In accordance with their conclusion on what kind of person they were, ninjas decided how to control them therefore their judgement had to be accurate. If they misjudged then the whole mission could be a failure and they could die. Ninjas had technique for seeing through the essence of others. It was called " Satsujin-Jutsu (察人術) ". Satsujin-Jutsu was also one of the Taijin-jutsu. Satsujin-Jutsu was mainly composed of the physiognomy appraisal and negotiations skills. 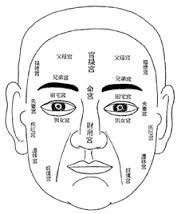 In Eastern Asia, the physiognomy appraisal has developed since the old days. Naturally, ninjas understood it will. For instance, a man with big ears has good luck with money or a woman with slit eyes has a good fortune for marriage. Though these judgements do not seem so rational, they were useful as rough references for ninjas. Secondly, negotiation skills meant reading the mind and character of people from their expressions and petty movements of their faces. As this is a rule of thumb, not only ninjas but also even well-experienced businesspeople today mastered it. It is thought that the insights of ninjas were more than often correct because if they failed to interpret someone’s mind, it could lead to their death. The missions of ninjas were so hard that ninjas had to acquire mind control skills not only for others, but for themselves too. Under severe stress, they had to control themselves and stay solid. The techniques for doing this were called " Juji-no-Hijutsu (十字の秘術) ". They would use these characters to focus and control themselves. I am going to introduce them. In " Juji-no-Hijutsu , ten Chinese characters are used. They are " 天 ( Ten, heaven ) " , " 龍 ( Ryu , dragon ) ", " 虎 ( Tora , tiger ) " , " 王 (oh , king ) ", " 生命 ( inochi, life ) " , " 勝 ( katsu, to win ) " , " 是 ( kore , this ) " , " 鬼 ( oni, ogre ) " , " 水 ( mizu , water ) " , " 大 ( dai , big ) " . Ninjas selected one word among them according to a crisis to which they were facing and ninjas wrote the word they chose on their palm by their forefinger, after that, they pretended to swallow the imaginary character on their palm. When they suggested something to their superiors, " 天 (heaven) " was used . " 龍 (dragon) " is for safety around the sea and rivers. In the same way, " 虎 (tiger) " is for mountains. In the case of ninjas showing achievement from their training, it was " 王 (king) ". For the prevention of food poisoning, " 生命 (life) " was associated. When facing a contest, " 勝 (to win) ". When they hoped to cure a disease, " 是 (this) ". Just before breaking into the darkness, " 鬼 (ogre) " . When requiring a comfortable feeling, " 水 (water) ". If they wanted to increase the joy they were feeling, "大 (big) ". As the effectiveness of such techniques is recognized even by contemporary medicine, ninjas must have been able to control and strengthen not only their minds, but also their flesh. The final success of ninjas must have been having an ability to control all hostile countries and themselves.